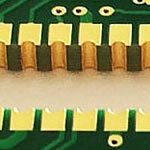 Why Buy PCBSINO Circuit Boards? Senior engineer will take care of each step of PCB production from Gerber check to testing and to end product. PCBSINO will support you in the in each production step. It can be great helpful to your product. 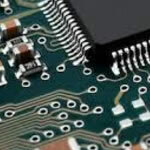 we can answer any questions about your circuit board or help you when you need updates or repairs. You can get immediate support and answers to your questions. 2.High quality and low cost! 1 2 3 . . . . . . . . . . . . . . . . . . . . . . . . . . . . . . . . . . . . . . . . . . . . . . . . . . . . . . . . . . . . . . . . . . . . . . . . . . . . . . . . . . . . . . . . . . . . . . . . . . . . . . . . . . . . . . . . . . . . . . . . . . . . . . . . . . . . . . . . . . . . . . . . . . . . . . . . . . . . . . . . . . . . . . . . . . . . . . . . . . . . . . . . . . . . . . . . . . . . . . . . . . . . . . . . . . . . . . . . . . . . . . . . . . . . . . . . . . . . . . . . . . . . . . . . . . . . . . . . . . . . . . . . . . . . . . . . . . . . . . . . . . . . . . . . . . . . . . . . . .